With all eyes on the Switch and the console's new Labo cardboard peripherals, it's easy to forget Nintendo is now very much a mobile game developer, too. In Nintendo's latest financials, however, its mobile games received only a passing mention, and Mario Kart Tour is still a ways off. But it turns out Nintendo has other mobile titles in the pipeline. It's been working with developer Cygames on Dragalia Lost, a Japanese-style action RPG. You may know Cygames as the company behind the digital card game Shadowverse, but otherwise it typically makes titles aimed squarely at the Japanese market, like the hugely popular Granblue Fantasy. Beyond the trailer showing off a few snippets of gameplay and the cute anime characters that inhabit the world of Dragalia Lost, we don't know a great deal about it. It will be free-to-play, though, with an in-game currency used to unlock new characters and such. Nintendo has been pretty diverse in its mobile launches to date, with mixed success. Its first foray into mobile, the quirky social network-esque Miitomo, has already reached the end of the road, and Nintendo has admitted Super Mario Run didn't prove as profitable as the company would have liked. Nintendo's third mobile release, Fire Emblem Heroes, was a free-to-play game based on the company's tactical RPG series, and it turned into a money-spinner. Even a year after release, it still comfortably pulls in over $1 million per month for Nintendo, as players buy virtual currency at exorbitant prices in the hope of pulling their favorite characters from the game's slot machine -- the hallmark of a gacha game. Despite Heroes' success, Nintendo's most recent launch, Animal Crossing: Pocket Camp, was a less predatory affair, relying on more traditional currency and stamina mechanics to make money, instead of gambling. Given Cygames' background as a gacha specialist, it's likely Dragalia Lost will have similar gambling-style mechanics to Fire Emblem Heroes. As part of the Dragalia deal, Nintendo is taking a 5-percent stake in Cygames, which signals the company's intent to continue to pursue the gacha market as part of its mobile strategy. The mobile gaming company DeNA, which Nintendo also has a stake in, already owns a quarter of Cygames. 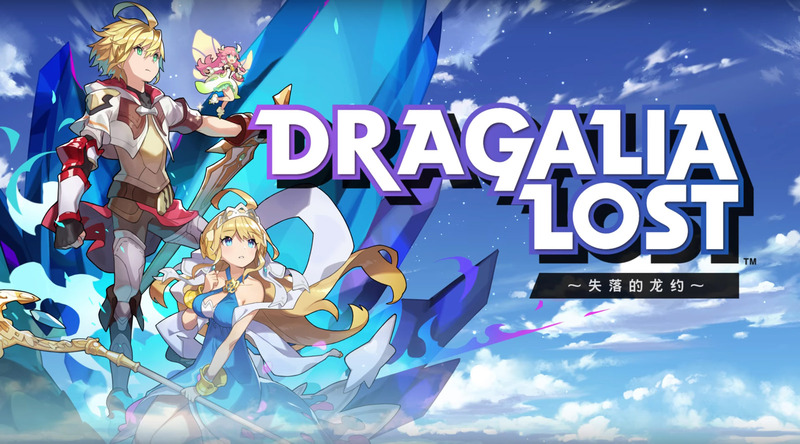 Dragalia Lost will launch this summer in Japan and some other Asian markets, and Nintendo has also committed to a release in North America and Europe. That's cool and all, but what we really want to hear about next is the rumored Zelda mobile game, because after Breath of the Wild, the adventures of Link are the only thing that really matters.